4 Proven Steps to Beat Your Stress! Last week, I received a letter from Claudia, a 41 year old female doctor working in an Accident & Emergency department in a central London hospital. 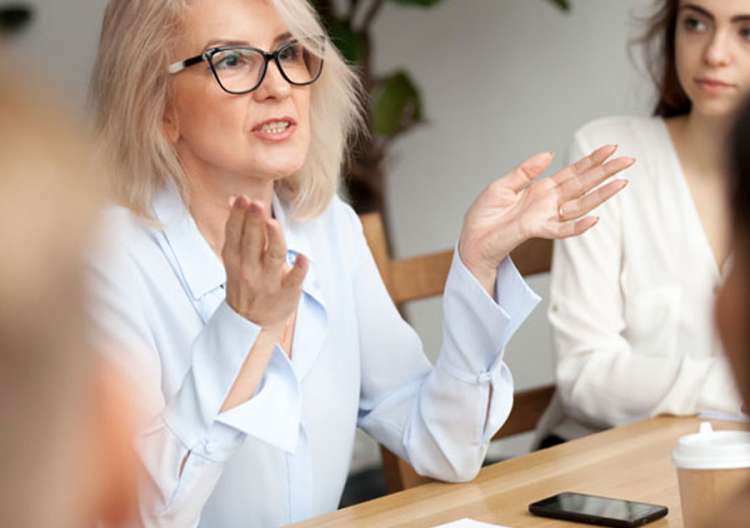 “Dear Claudia, It sounds as if you have lost your motivation to bring about change both in yourself and in others and are finding it hard to accept that your growth as a professional person seems to have stalled. But it doesn’t have to be like that. Your dream of becoming a great doctor can still become a reality although I do appreciate that when you work the long hours that you do, it is all too easy to lose sight of your goals, your vision and your purpose. We all need to grow personally. However, not everyone knows the importance of personal development and they don’t necessarily appreciate its impact upon the individual. The fact is that our personal growth has a huge impact upon the success of our relationships, both at home and at work. Take Action: Your first step should be to take an honest look at your life and your situation to see what needs to be modified. 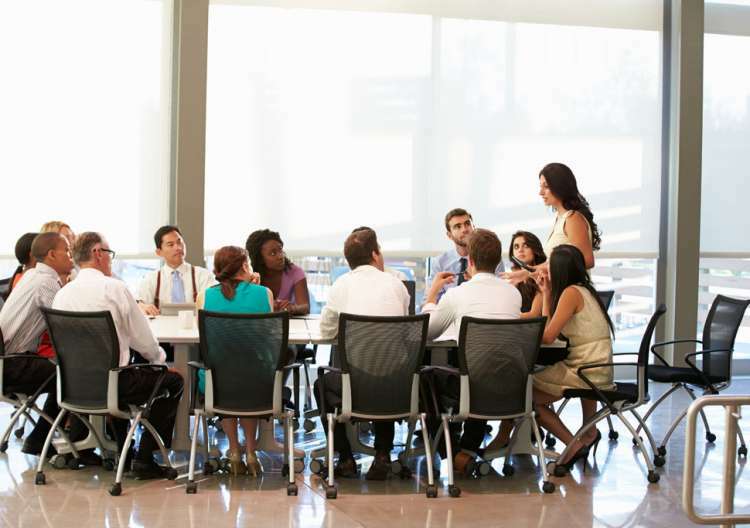 The next thing is to make an action plan to move your identified changes forward. Remember, anything that is worth doing will take commitment and dedication and no-one can do this for you. This, you have to do yourself. However, there are some key elements in the path to personal growth and improvement. Learning is one way to cultivate your personal growth. 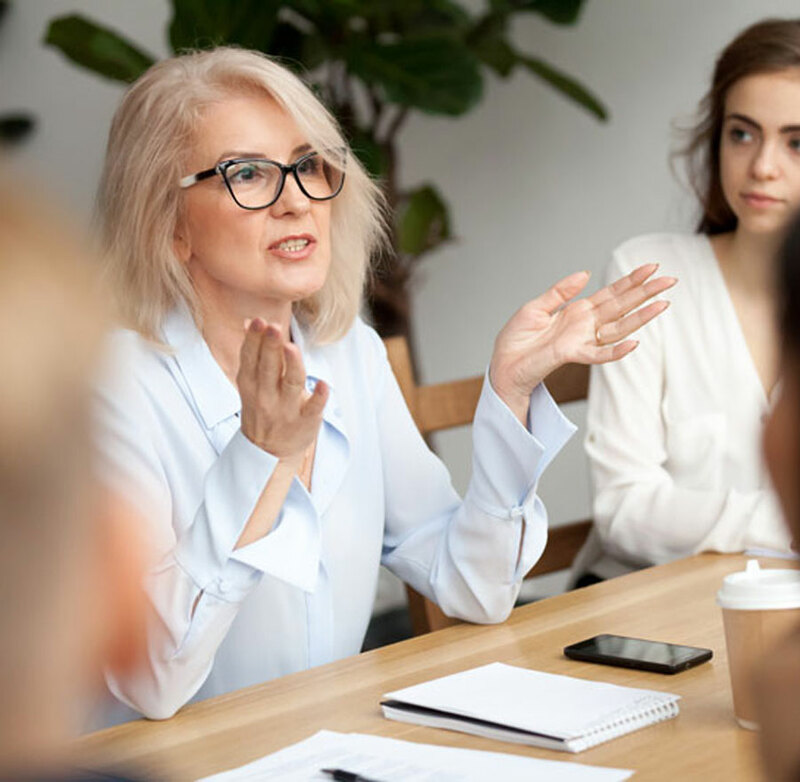 Professional attainment can help you to do this as it will improve analytical thinking, develop critical thought and improve your chances of promotion. However, remember that learning doesn’t stop at medical school or university. 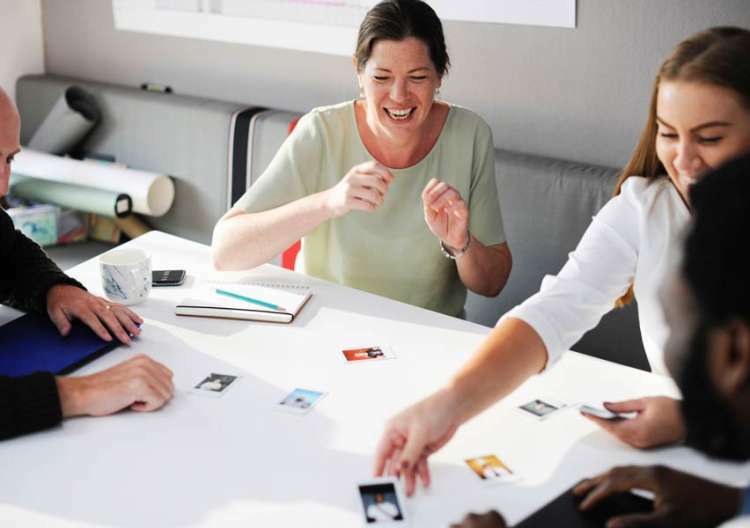 Those are just the beginning of a journey and you should grab every opportunity to further your professional development whenever you get the chance. Another avenue for personal growth is attitude and mindset. Negative thinking breeds failure and this must always be avoided and replaced with positivity. I appreciate that in your role as an A & E doctor, your time is limited and you are, no doubt, rushed off your feet going from one emergency to another – probably leading to exhaustion by the time you get home. However, it is important to hold onto an optimistic attitude that will lead you into increased career opportunities. Claudia, I have to remind you that no-one makes a conscious decision not to make the best of their lives. Your career is ‘work in progress’ and your personal growth will always be a lifelong pursuit. Only you can decide if you are currently implementing your vision successfully or if you are living an unfulfilling life. Every day that dawns brings with it a new opportunity for you to make a difference to your life and to the life of others. 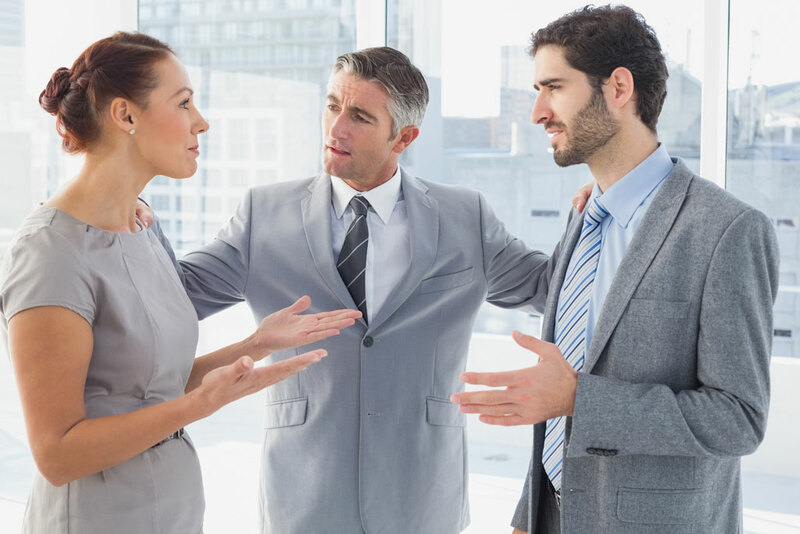 Every day you will be presented with choices relating to your career. You will need to make and implement the decisions that are right for you and take the actions that will change your life for the better. Only you can do that and only your own inaction and /or, your lack of decision can hold you back. We want you, Claudia, to be the person you wish to be. We need your skills and contribution to society and I hope that professional development is the key motivator to the success of your future life. I thank you for writing to me”. Those who learn, win – those who fail to learn, lose! 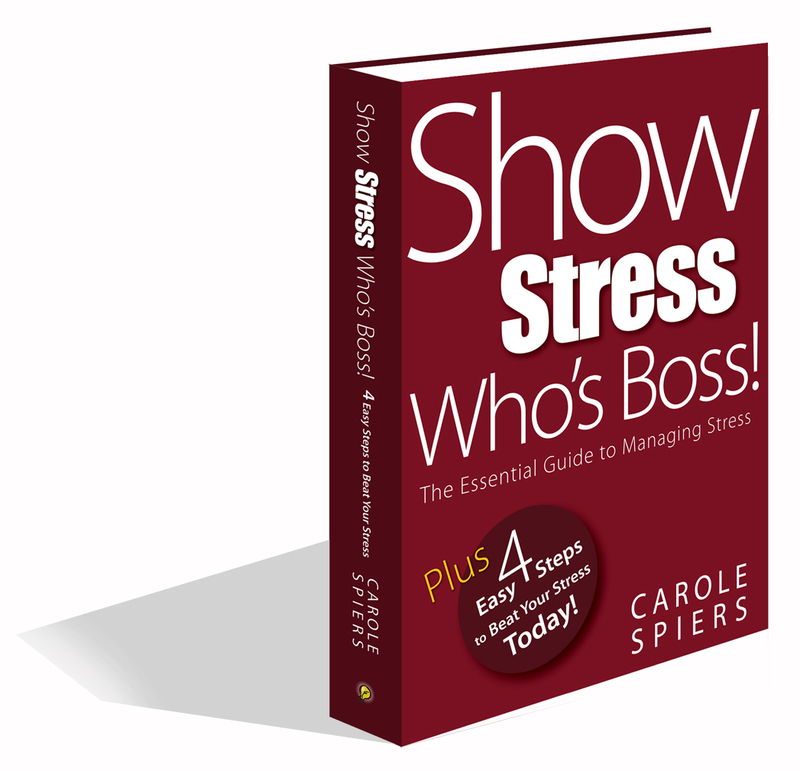 Learn How to Deal with Stress: Carole’s book, Show Stress Who’s Boss! shows you how to deal with stress, manage your stress & anxiety and overcome symptoms of stress. You’ll find tools and stress management techniques to make your life stress-free. Inside this book you’ll find 4 roven steps to relieve your stress symptoms. Buy your personally signed copy and receive a FREE stress test card. 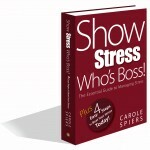 http://www.showstresswhosboss.co.uk. Also available in Kindle version.